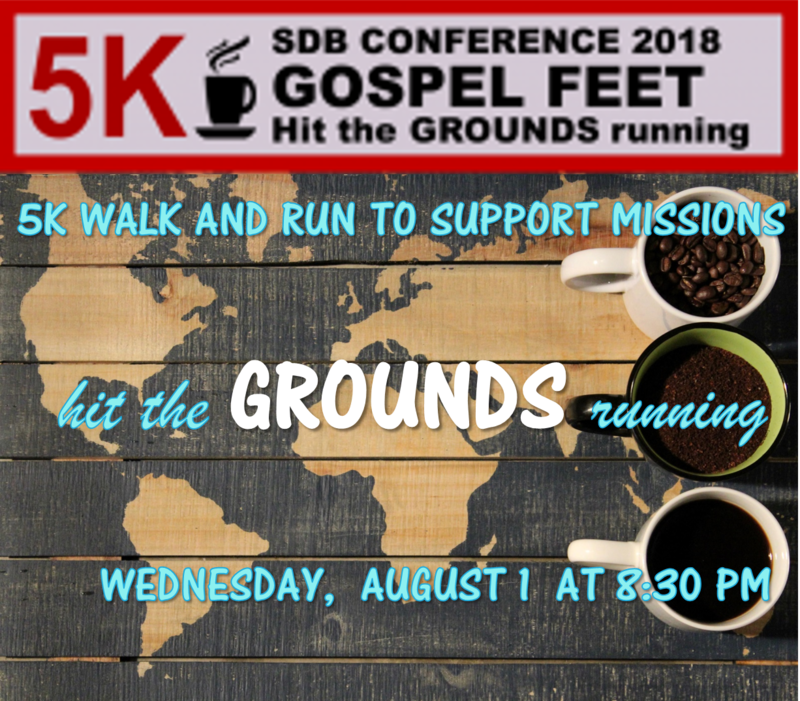 The Missionary Society’s “Coffee Themed” Gospel Feet 5K this year will raise funds to boost the sharing of God’s love with other nations. Participating perks? (1) Coffee perks you up, (2) Running/walking makes you stronger and (3) Giving is an opportunity to participate in the work of the Lord. An added plus is the fellowship with brethren during the 5K course. All these factors are central to the 5K-Cup taking place at General Conference, Kenosha WI. It’s an opportunity to drink coffee and run a race while supporting the work of the Missionary Society. You don’t have to attend General Conference to participate, you can sponsor someone or just donate. Consider hosting a Talent show, community Bake Sale or have a Penny War, as possible ways to involve your local church in raising funds. Hit the GROUNDS Running…Visit the Society’s website to pre-register! 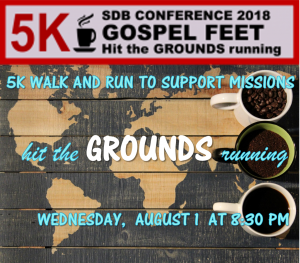 Make plans to give to the annual Gospel Feet 5K this summer at General Conference.